Today we have Jami from Lulu Mom here with us! 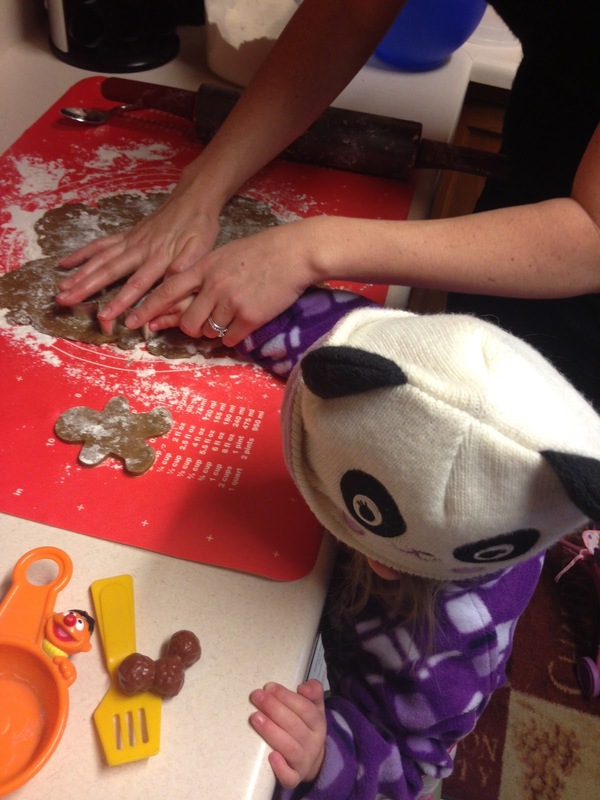 She is going to show us how to make some yummy Gingerbread Men. But, lets get to know a little about Jami first! Well hello there you lovely Babblings and More Readers. 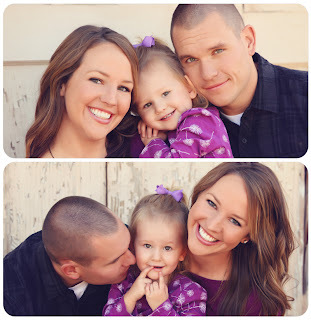 My goodness, I don't know about you but I absolutely adore this blog! I mean, what an amazing sisterhood they have going on. So of course, I'm beyond honored to write a guest post for them. Let me start by introducing myself. 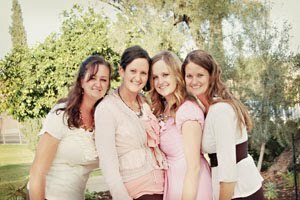 My name is Jami and I blog over at the Lulu Mom. I'm an Oklahoma girl who is now living the dream in beautiful Colorado. I am a wife to a pretty great man, who is a cop in Aurora, CO. We have a 2 year old daughter who we lovingly call, Little Miss. She keeps me on my toes and I am learning a whole different level of patience with this crazy stage you might have heard of... Yep the terrible 2's. So much fun. 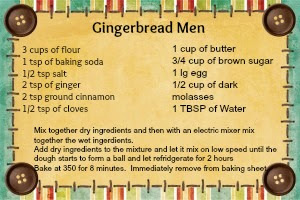 Today I'm going to share with you the best gingerbread recipe you will EVER have. Seriously, tuck this away and use it for next year. I've made gingerbread for as long as I can remember and this is the perfected recipe that was in the testing stages for many holidays! :) It's soft, and tastes divine. Not crunchy and not bitter! OH YUM! So ENJOY, and feel free to pop on over to my neck of the woods anytime. I'd love to have you! Let's start by whisking together your dry ingredients. 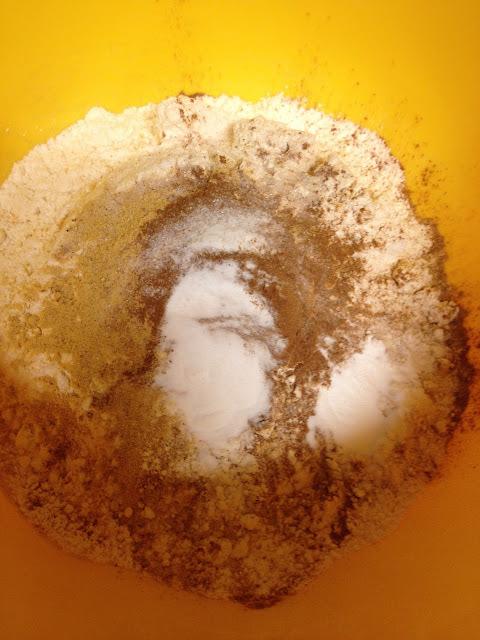 Flour, baking soda, salt, ginger, cinnamon, and cloves all go into a bowl and you whisk it away. Then in a Kitchen Aid (or use an electric mixer) mix together the butter and brown sugar until it's fluffy looking like this. 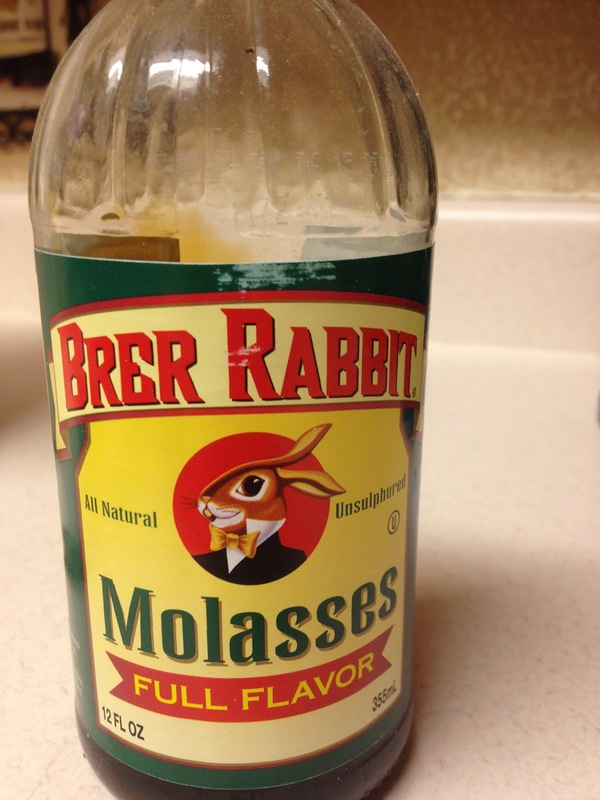 Before we move on let's talk about molasses. That thick kind of nasty looking stuff. Yeah that... well there are many types of molasses, light, dark, blackstrap. Don't get blackstrap and don't get light. Dark is the proper choice for this recipe. 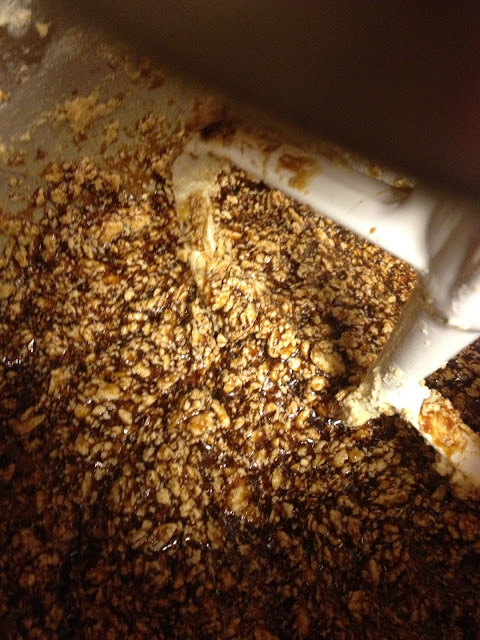 Now that we are clear on that, add the molasses, water and egg and mix it up. It kind of looks a little nasty, huh? But you will soon learn the dough of this stuff ain't pretty. 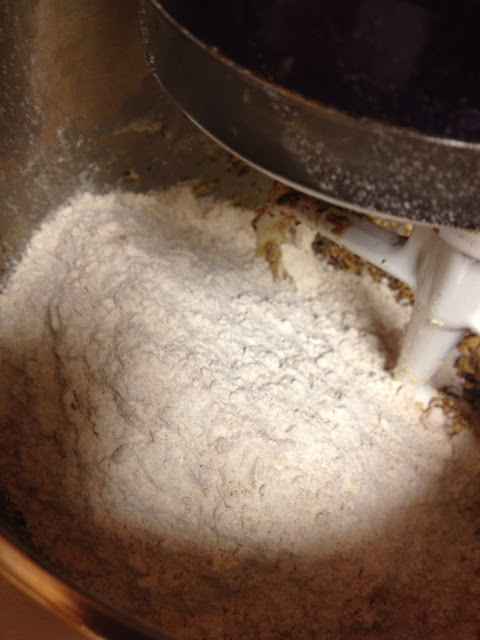 Now all at once dump the flour mixture into the gross looking mixture and beat until it's combined. Scrape the sides of the bowl as necessary. And don't turn your mixture on to high because you might end up in a flour shower.... don't ask me how I know that. Now keep mixing into the dough starts to form a sticky ball and then divide it into 3 different balls and wrap in plastic wrap and put it in the fridge to chill for at least 2 hours or for up to 2 days. 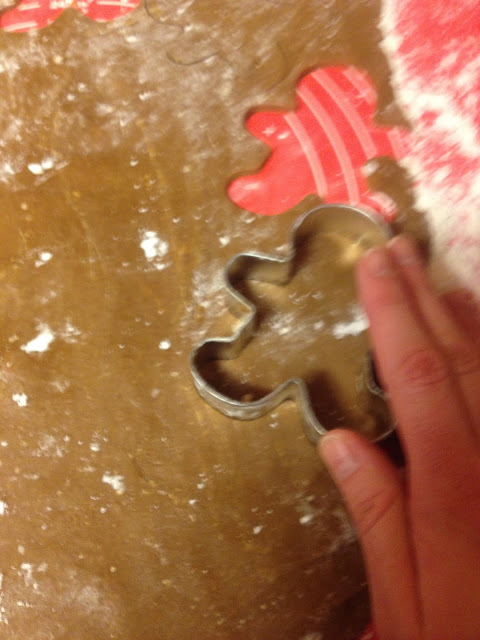 Roll it out and start cutting with cookie cutters. Make sure to use plenty of flour. 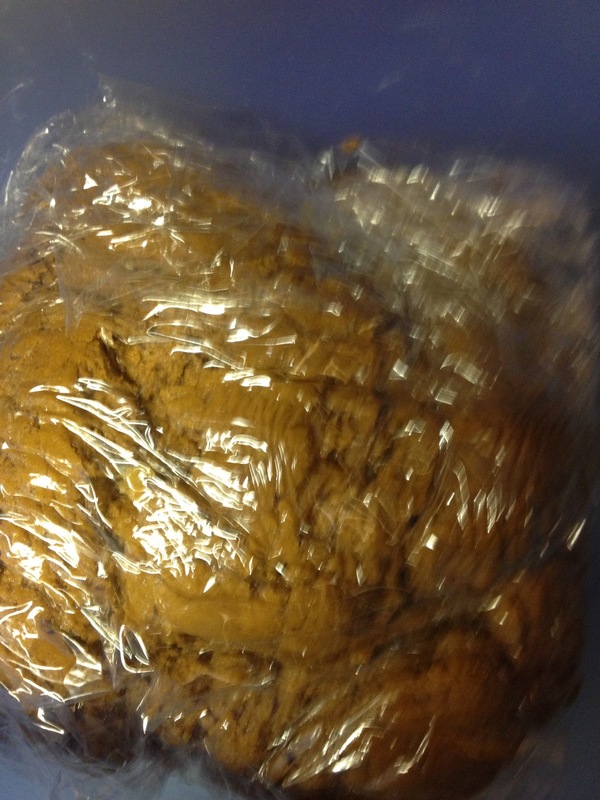 This dough has a tendency to stick. Then call gangster daughter who likes to wear her hat side ways and let her help cut. Cook these little guys in a 350 degree oven for 8 minutes. Pull them add and immediately add chocolate chips and then pull them off the baking sheet. You don't want them to get crunchy so pull them off that hot sheet ASAP. 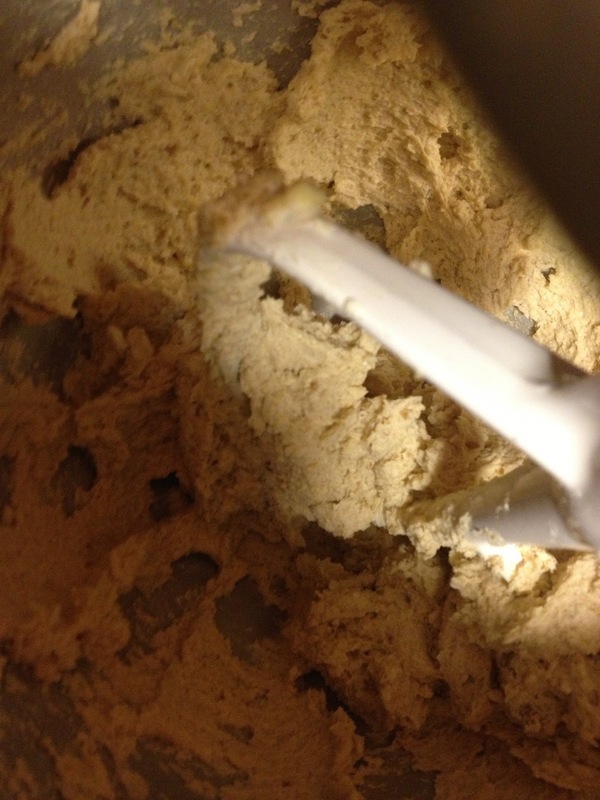 Continue this process until you have used up all of your dough. Now this trick my mom taught me and it is absolutely necessary for this army. 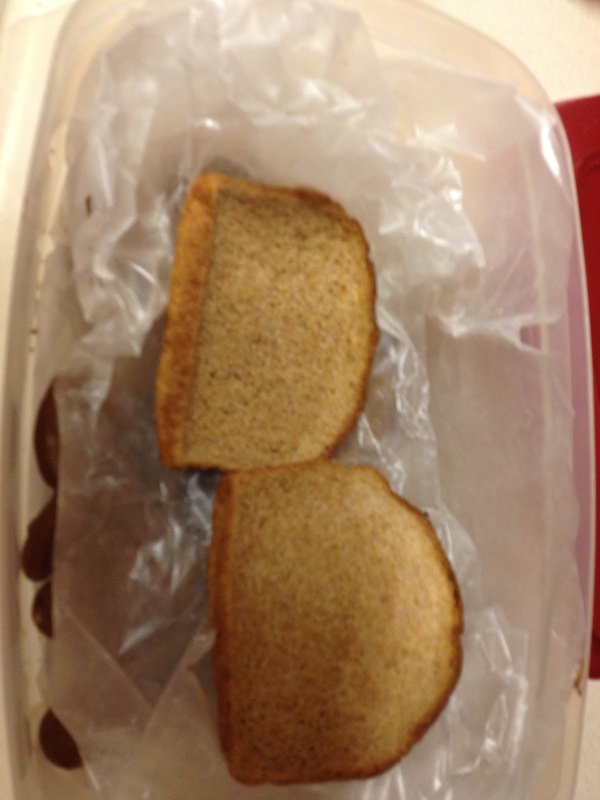 add 2 pieces of bread to the top. The cookies take the moisture of the bread and leaves the poor bread all cracker like, while the army ends up all soft and delicious. That tip about the bread is a new one! Sounds like a great idea though, especially with gingerbread, with its tendency to crack teeth if not soft!! These look great and I will definitely have to try that tip!